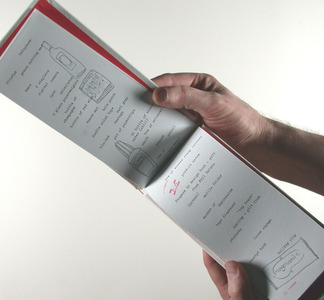 Limited edition artists' book that demonstrates the importance of the domestic and familiar object in our working lives, creating a ‘home from home’ in which a sense of self permeates professional space. Held in the permanent collection of The Ministry of Books Library at the University of Portsmouth. This artefact has been purchased by the University for the Creative Arts for their library collection.